Hey, batter, batter! 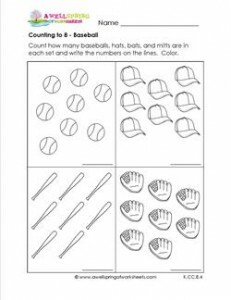 While you’re running bases to get to counting to 10 you’re gonna’ have to round out at this base – counting to 8. But don’t stop here. Keep running all the way and slide!